Use running pliers to "run" a score along glass and break glass pieces with ease. Simply position the jaws of these durable metal pliers at the end of your score on the edge of the glass, and gently squeeze for a clean break. Convenient centering mark helps the curved jaw to exert equal pressure on each side of the score. Lifetime guarantee (excludes replaceable parts). Measures 8" long. Delphi Tip: Use the screw to set your running pliers to the same thickness as the glass you are breaking. Before you make your cut, set the running pliers onto your glass and gently close them. Tighten the screw all the way down, then back it off about half a turn. This will allow the pliers to close just a little bit smaller than the thickness of your glass, which will help you make a perfect break! 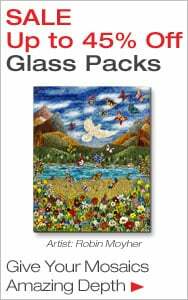 Get the supplies you need for creating mosaic art. 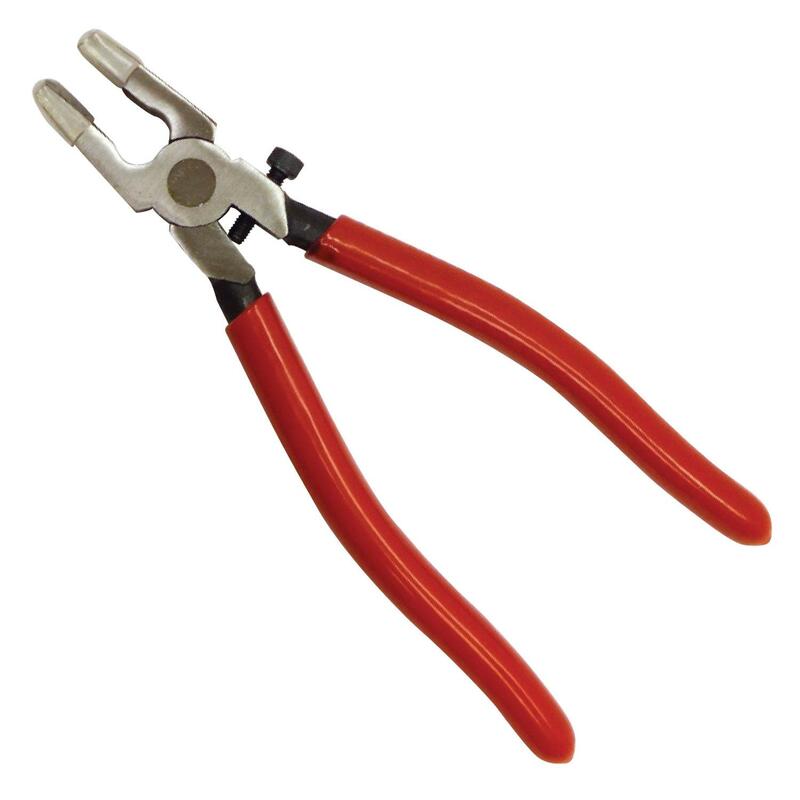 Delphi offers a huge selection of glass tools, from basic glass cutters and cutting systems to specialized mosaic pliers and nippers. Delphi Makes It Easy: Looking for adhesives? See our Mosaic Glues & Chemicals.